The historian and professor Garrett Mattingly was a student of 16th-century Europe who wrote the novel-like histories Catherine of Aragon and The Armada. Born on May 6, 1900, in Washington, D.C., Garrett Mattingly was the son of Ida Garrett and Leonard Mattingly, a civil servant and industrialist. Young Mattingly attended elementary school in Washington until 1913, when his family moved to Kalamazoo, Michigan. Here he enrolled as a student at the local public high school and graduated in 1918. After graduation he enlisted in the Army and served with the 43d Infantry Division until 1919. In that year he entered Harvard University, where he majored in 16th-century literature and history and from which he received all three of his degrees: a B.A. in 1923, an M.A. in 1926, and a Ph.D. in 1935. At Harvard he studied European diplomatic history under the direction of the distinguished historian of 16th-and 17th-century Spain, Roger Bigelow Merriman, who, Mattingly once said, "taught me whatever I know of my craft." Mattingly was an outstanding student who published an article on Shakespeare, was elected to Phi Beta Kappa, and, in 1922, while still an undergraduate, received a Sheldon Travelling Fellowship which enabled him to spend a year studying in France and Italy. Even at this stage of his life Mattingly's interests were eclectic—in addition to his historical studies he wrote poetry, began a novel, and served as a stringer for several French and Italian newspapers. Mattingly's professional career began at Northwestern University in Evanston, Illinois, where he was appointed an instructor in English in 1926. At Northwestern he met writer and historian (chiefly of the American West) Bernard DeVoto, who became one of his closest friends and who had a significant and enduring influence on his career. DeVoto, a fellow Harvard graduate, was a brilliant and iconoclastic writer whose wide knowledge, ability to synthesize, and evocative historical narratives Mattingly greatly admired. In 1928 Mattingly married former teacher Gertrude McCollum. He also became an instructor in English and history at Long Island University, where he remained for some 14 years, rising through the academic ranks to become an assistant professor and finally associate professor. It was while he was at Long Island University that Mattingly began his lifelong affair with New York, a city he loved because it was, in his view, both civilized and cosmopolitan. It was also while he was at Long Island University that Mattingly published his first important professional articles on 16th-century Western European diplomatic history. In 1936 Mattingly received the first of what eventually would be three Guggenheim Foundation fellowships, which enabled him to study Catherine of Aragon in the context of Anglo-Spanish diplomacy in the 16th century; this study resulted in the publication of Catherine of Aragon in 1941. Catherine of Aragon was an immediate critical and popular success and was a 1942 Literary Guild selection. It examines the personalities, the motivations, and the quite extraordinary complexities involved in Catherine's life, her marriages, and her divorce and the parts they played on the wider—and often seamy and always shifting—stage of Western European politics and diplomacy. The book is based on an immense amount of research into varied primary sources in many languages. This scholarship, however, is never obtrusive in the book, which is written novel-fashion without footnotes and in a seamless, compelling, and often witty narrative. Mattingly was able to paint, in a few lines, unforgettable portraits of remote figures. Pope Clement VII, for example, was described as a "sensitive, delicate, nervous man, with a talent for log-rolling and devious, personal intrigue, and the soul, if not of an artist, at least of a good, second-rate art critic; he was temperamentally unfitted for the dangerous decisions called for by these iron times." Mattingly sympathetically dealt with most of the characters, though one senses that he tired quickly of Henry VIII and his flexible conscience. It is clear that he greatly admired Catherine, her intelligence, her patience, her integrity, and her ability to view Western Europe as an organic whole, Christendom. It is also clear that Mattingly saw in Henry VIII's ruthless consolidation of power an implicit lesson for his own time: "Henry wielded the twin weapons of his future despotism, the appropriate weapons, for that matter, of any despotism, which seeks to break the pattern of a people's life—cant and terror." From 1942 to 1945 Mattingly served on active duty in the U.S. Naval Reserve as a lieutenant commander. In July 1946 he joined the faculty at Cooper Union in New York City as professor of history and chairman of the Division of Social Philosophy. In the latter capacity he scheduled and hosted a series of lectures on topics of general interest, an activity which allowed him to perfect his own lecturing skills. He received his second Guggenheim fellowship in 1946. In 1946 he also became professor of history at Columbia University, where he remained for the rest of his life. He was a popular teacher whose dramatic and unconventional lectures were always well-attended and a stimulating mentor to a whole generation of graduate students. He received a Fulbright scholarship for research in Italy for the 1953-1954 school year, the fruits of which were published in Renaissance Diplomacy (1954). Dedicated to Bernard DeVoto, Renaissance Diplomacy, a more conventionally academic though no less interesting and critically successful work than its predecessor, is, as Mattingly indicated, "a general account of the development of Western diplomacy in its formative period." Five years later Mattingly's best-known book, The Armada, was published. Like Catherine of Aragon, The Armada was a great popular as well as critical success. It was a Book Society choice in England and a History Book Club and Book-of-the-Month Club selection in the United States and received a Pulitzer special citation in 1960. Mattingly recognized that the Armada's story had been frequently told. His purpose was to look at the vast array of primary sources with a "fresh eye" and to place the "narrative of the naval campaign in the broader European context," emphasizing the important political and diplomatic features of what he called the "first international crisis of modern history." By employing his talents as a writer and a scholar, Mattingly was able to describe such intricate matters as 16th-century naval and military tactics, economic problems, and political and diplomatic intrigues. He also was able to evoke luminous images of the individuals involved. Unlike most other historians writing in English, Mattingly did not make the Spanish into cartoon villains. Elizabeth I's archenemy, Philip II, emerges as a sad, consciencious, and "terribly industrious" monarch, and the often maligned commander of the Armada, the Duke of Medina Sidonia, is presented as an honorable man who was the unhappy victim of circumstance. Despite his attention to the details concerning the Armada's defeat, Mattingly emphasized that the actual outcome of the battle was far less significant than the impact it had on Spanish and English prestige throughout Europe and on the growth of the myth of the Armada defeat, a "victory of freedom over tyranny, of David over Goliath." By 1960 Mattingly had reached the pinnacle of a distinguished academic career. In January of that year he was named as the first incumbent of the William R. Shepherd Chair of European History at Columbia. Several months later he was awarded his third Guggenheim for research on the Italian Renaissance. Wesleyan University made him an honorary D.Litt. in 1961. He was named George Eastman Visiting Professor at Oxford University for the 1962-1963 school year, and it was at Oxford that he died of emphysema on December 18, 1962. Although he died relatively young, Mattingly left a three-fold and far from insignificant legacy. First, he left a large number of students who revered him and were influenced by him and who themselves became historians. Second, he left friends and colleagues who respected him for his scholarship; envied his wide interest in and knowledge of art, music, literature, food, and wine; admired him for his skill and talents; and cherished the memory of one who was in their minds a 20th-century Renaissance man. Finally, he left three important books which provide not only a wealth of information about the subject matters themselves but also much insight into Garrett Mattingly. They reflect his distaste for despotism and dogmatic opinion of any flavor and his concern with the idea of Western civilization (including the United States) as a cultural and historical unity. In addition, they indicate his regard for factual accuracy: "History," he once remarked, "is the most difficult of the belles lettres, for it must be true." He based his work on a technical mastery of the material in his field, which was no easy task, for he was required to read a mind-boggling variety of formal and informal documents in 16th-century handwriting in several 16th-century languages and local variations thereof ranging from Latin to Spanish to French to German to Flemish to English. His work further shows his concern for literary craftsmanship—for carefully constructed and polished prose—and a keen interest in individual personality and situational nuance. These books, especially Catherine of Aragon and The Armada, are important in that they have been read and applauded not merely by a scholarly few but by a large audience and have presented to several decades of readers and history students a fascinating and far too often neglected glimpse of 16th-century losers. Mattingly made distinct contributions to the modern historical profession. As he was well aware, his type of "literary," political, narrative history with a potentially wide appeal was rather out of fashion even in the early 1960s. It has been replaced in the vanguard of the profession by the less personal—and often less readable—and more analytical annales type of history, which may cover the same era and area but treat them very differently. It is as yet impossible to judge what Mattingly's long range place in the pantheon of American historians may be. But students who attended his lectures and those who have read his books have retained a vivid and indelible picture of the people and the world he depicted. As an historian and as a teacher, he could not have hoped for more. Robert M. Kingdon's "Garrett Mattingly" in The American Scholar (Summer 1982) is a thoughtful, analytical, and sympathetic appraisal of Mattingly's importance as a teacher and writer by one of his former students at Columbia. 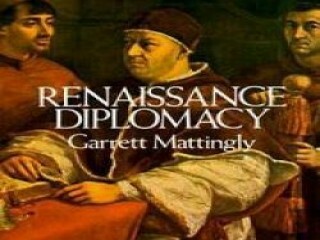 From the Renaissance to the Counter-Reformation: Essays in Honor of Garrett Mattingly, edited by Charles H. Carter (1965), contains two essays which specifically address themselves to Mattingly. Leo Gershoy's "Garrett Mattingly: A Personal Appreciation" describes Mattingly's multi-faceted personality and gives readers an idea of why Mattingly was such a fascinating and admired figure. J. H. Hexter's "Garrett Mattingly, Historian" discusses the seeming paradox of Mattingly's painstakingly researched books' wide popularity, which Hexter attributes both to Mattingly's literary talents and to his hatred of pedantry and of both "new wave" and "old wave" theoretical type history. For an appreciative essay on Mattingly's academic career and its successes, as well as an interesting account of his extra-curricular pursuits and tastes, see "Garrett Mattingly," Political Science Quarterly (September 1963). View the full website biography of Garrett Mattingly.